Thank you for your feedback at the end of last term about what you would like your children to be like when they finish their schooling. Your comments were inspiring. What you told us, overwhelmingly, is that you want your children to be a certain kind of person with particular dispositions more than know a certain prescribed set of facts or have a certain prescribed set of beliefs. As I look through the list of your comments, which you can find here, and compare what you have written with the skills educators are told are necessary for young people going into employment in the 21st century, I find that you intuitively know what your children will need. "know what he is good at, accepting personal responsibility, being self controlled/self motivated, having a clear idea of who they are, humble self awareness, able to take time out, good sense of self in God, shows up, proud of unique strengths, talents and gifts, secure"
"caring, compassionate, accepting those with differences, cultural awareness, accepting the uniqueness of others, listen to others' ideas and views, work through conflict, team player"
"love of God's creatures, aware of their effect on the world, contribute to society, community minded, servant-hearted, resourceful, strong sense of purpose"
"creative thinker, curious, forward thinking, problem solver, take risks with ideas, determined, high work ethic, ICT savvy, love truth, open minded, embrace failure as part of learning, hunger to grow, flexible, persevering, focused, not narrow minded, driven to succeed"
"spiritual, Christ-like, close relationship with God, Christ follower, trusting in God, full of faith"
I am really thrilled with the positive and supportive social and learning environment that has developed in our school during this year. I see on a daily basis the skills above developing and being evident in our learners. We're not perfect, but we are getting better! This term has its challenges. The painter in the junior classes injured himself resulting in a delay in completion of work planned for the holidays. This has meant that the teachers and children have had to be incredibly flexible and patient and to work together in a team in smaller spaces than usual. This initially unsettled a few children, but we are amazed at how well they are engaging and learning, which is largely because the teachers have been teaching collaboratively and developing both team work and independent work skills throughout the year. The senior class has a lot of work to do for the production. This has meant that much of their literacy and numeracy learning is integrated around the real life problems of set/ticket/costume/programme production. Productions take a lot of time, but develop a lot of skills. A lot of time can be wasted if students and teachers don't make the most of the independent learning skills and self motivation that is being developed. Again, I am so impressed with the way Louise and Tilda (with Tilda's daughter Amy, and other supporters from our wider community) work collaboratively with the students, and the way the children are engaged and focused. You have given great ideas in your feedback. The Self Review Team and the Board will be working with these further to develop a graduate profile, and then as staff and board we will be very reflective about how we can develop these dispositions better in your children. Any suggestions and recommendations of course are welcome! Thanks again for your part in the process. Approval has now been officially given by the Ministry of Education to change the school’s name to Horizon School in November. Processes have also been begun to transfer the proprietorship from the Baptist Church to the NZ Christian Proprietors Trust (NZCPT). The NZCPT will be managing the attendance dues from next year. A letter will be sent to you this term outlining the changes, and providing the new bank account details and automatic payment details. Complete the order form here and send $4 to school this Friday for your child to have Pizza and jelly and fruit. An order form will be sent home again this week. You can also pay for the lunches for the whole term in one payment of $26 (saving $2). We have had one confirmed case of Chicken pox last week at school. Students are currently being reminded to wear correct school uniform, and this includes black shoes or sandals. Gumboots and crocs are not part of the school uniform. Now that the weather is improving, the children need to be wearing a hat while outside. Please can you ensure that your child has a hat in their bag. No hat no play from next week. · clear plastic bags (eg in which duvet covers, blankets or pillows are purchased in). Baptist Children and Family Ministries is part of an interdenominational and para-church network of people and churches that are ministering with children and their families here in NZ. As someone affiliated with our networks we are pleased to be able to share with you our latest family resource, Christmas@Home. This is a brand new resource that has been designed to use in the home in the weeks leading up to Christmas. The booklet is packed with traditions families can start, a variety of fun activities and ways to serve others in the community. The activities will enable families to have faith conversations over the Christmas time rather than getting caught up solely with the tinsel and elves! The booklets have 32 pages and are available for $2.50 each. There is a minimum order of 10 and a discount for orders over 50. Packaging and postage are not included. Christmas@home orders can be placed at www.bcfm.org.nz. Have a look at the attached file to see what you can expect. NFF will once again run the Futsal Leagues at the Bowling Club by Warkworth AFC Football on Tuesdays from 3:30pm. Go to www.nff.org.nz for further information and to register. 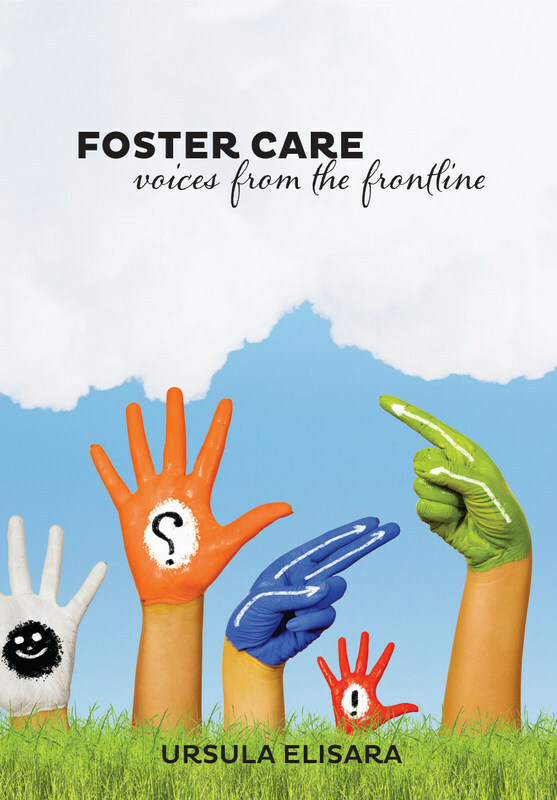 Ursula Elisara has recently released her book on fostering within NZ. The book is $20 and can be purchased through the school office.